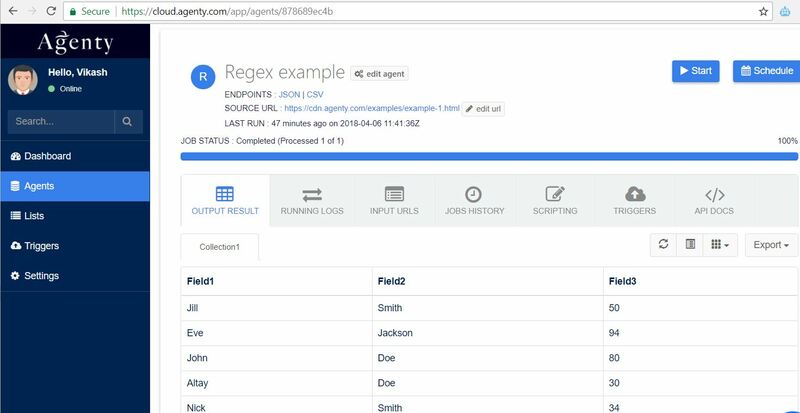 Note : Agenty Chrome extension can't be used to setup REGEX fields, so we need to create a dummy agent or use one from samples and then edit that agent in agent editor to add REGEX fields. Step 1 : Create a new web scraping agent using Chrome extension or use a example agent from samples. 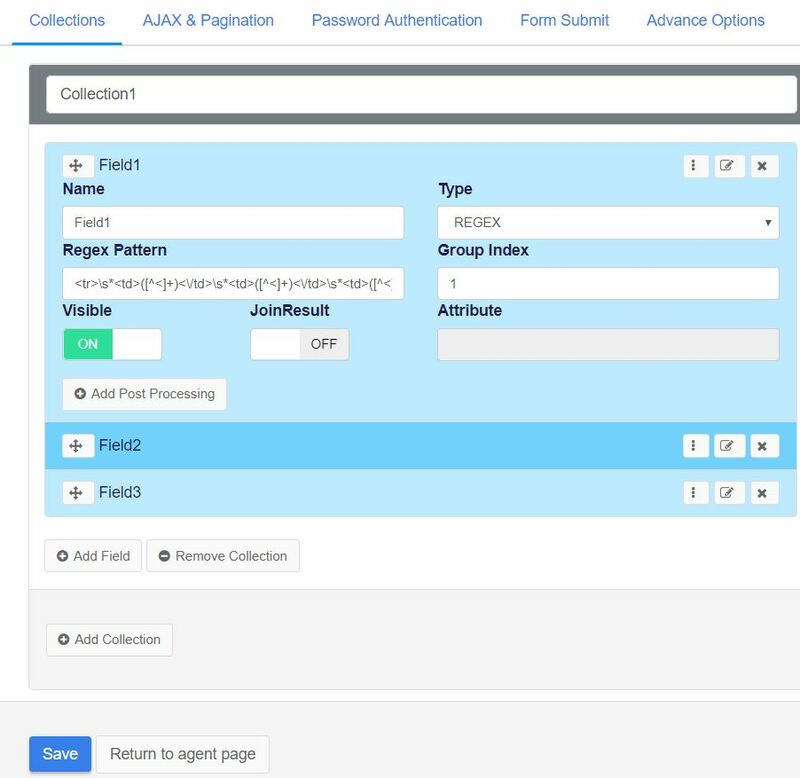 Step 2 : Edit the agent in agent editor and go to Collection > Fields section. 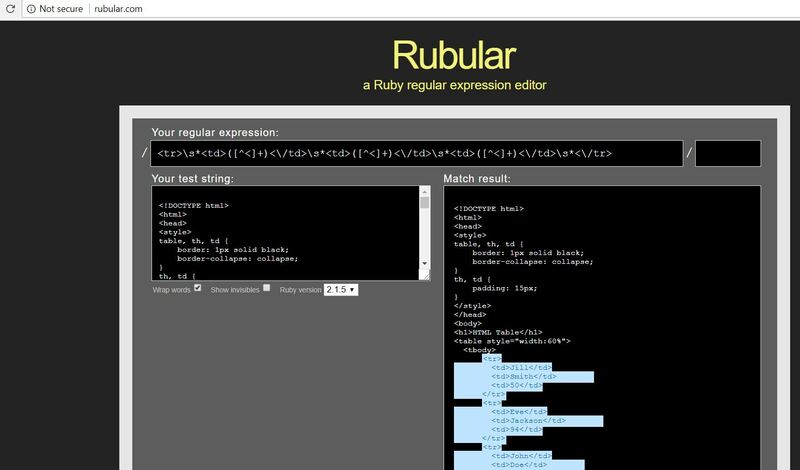 Once we have our REGEX expression created. Go to Agenty agent editor and paste the expression in "REGEX pattern" box by editing the field. Because the REGEX expression I created is for entire row(all 3 fields), so I can use the same REGEX expression in all 3 fields by changing the "Group index" to 1, 2 and 3 for it's respective field.